All text is in Danish language, but this brief introduction hopefully provides the basic information, you will need to find your way around. This web page contains numerous photos of my works. Go to ”Skulpturer” in the menu, then choose ”Til salg” to get to the sculptures that are currently for sale. To see photos of my sculptures in public spaces, go to ”Skulpturer” and choose either of the six galleries beneath the ”Til salg”- gallery. Beneath each picture, you will find a link to Google-maps, leading you to the location of the sculpture. All prices are in Danish Crowns, here written KR. The international currency code for the Danish Crown is DKK. Attended the Academy of Funen, Odense 1983-1988, followed by several periods of study and work at Studio Luigi Corsanini in Carrara, Italy. 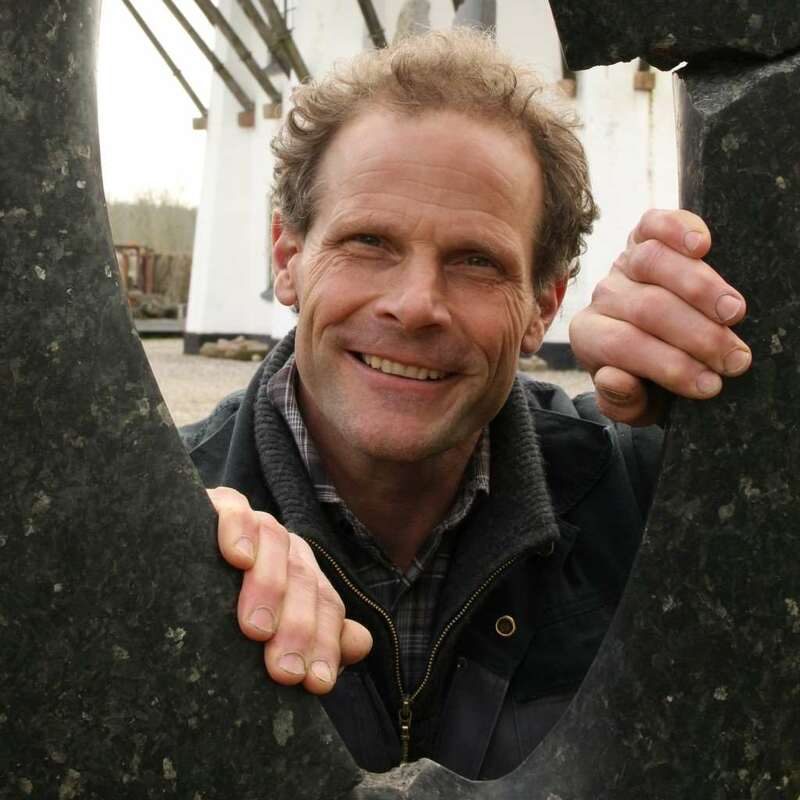 I live and work at the old Egeskov Windmill - close to Egeskov Castle in Funen. I mostly work with granite, marble and bronze, but occasionally steel, wood and various other materials find their way to my workshop. Go to ”Profil” in the menu to get to my CV. Please don’t hesitate to contact me with questions about my sculptures or the website. You can write to me at mail@soerenwest.dk or go to Kontakt in the menu for more details.